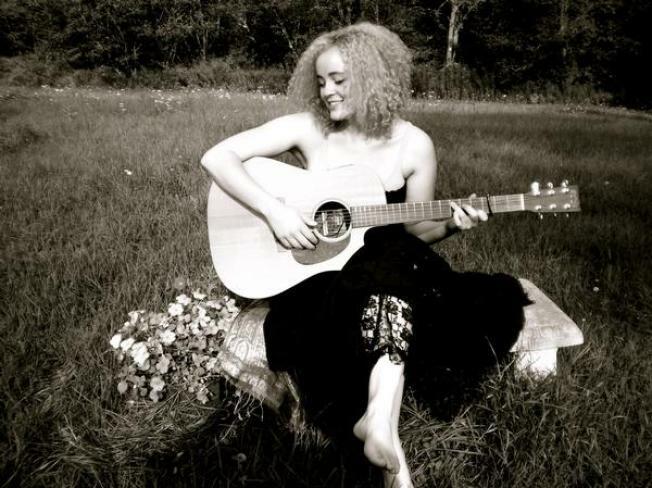 Dave Matthews Band protégé Samantha Farrell releases a new album. Singer-songwriters are a dime a dozen in Hollywood. On any given night, hundreds of hopefuls are dreaming to be discovered. No one can listen to them all, but Samantha Farrell deserves to be heard. Farrell just released her second album, Luminous. The album's rich with feeling and emotion. Think Regina Spektor. Think Ingrid Michaelson. She's probably the best female singer-songwriter you still haven't heard of. With a beautifully melodic voice that puts any listener at ease, the album's worth listening to on its own merits. But it's her story that makes her music more meaningful. It starts like any of the thousands of hopefuls that flock to Hollywood. The Massachusetts native moved to L.A. with a bag over her shoulder, a guitar in her hand and a dream in her heart. Five years later, she's realized her dreams, but she's had her share of nightmares along the way. Last summer, Farrell was working at an I.T. firm (one of the 18 jobs she had while trying to support her dream) and like any aspiring musician these days, she posted her music online hoping someone would discover her. Someone did. Not just any someone. LeRoi Moore, saxophonist and one of the founding members of the Dave Matthews Band, discovered her music on MySpace. A few months later, Moore and Farrell were in the studio together. It was his first project as a producer. He saw plenty of potential in the now 26-year-old. They worked long days and nights, and production on Luminous was nearly complete. Then tragedy struck. Moore was severely injured in an ATV accident in June 2008, breaking several ribs and puncturing a lung. He was hospitalized, released weeks later, re-hospitalized with complications, then released again. "I remember talking to him and he was just starting to feel better," Farrell said. "He was excited to get started again." The morning after that conversation, Farrell and Moore were supposed to meet to continue working on Luminous. He never made it. Moore passed away on Aug. 19. "It was awful," Farrell said. "It was like a terrible nightmare." Farrell was the first artist Moore had worked with as a producer. "He was the first person in the industry to give me validation for what I was doing ... after a really bad year, I knew the only way to honor him and what he'd done for me was to finish this project." For Farrell, it was the passing of a friend -- at the same time, the birth of an artist. This summer Farrell went back to the Dave Matthews Band's Haunted Hollow Studio in Charlottesville, Va. It's the same place where, a year earlier, Farrell and Moore had begun the project. Moore's family donated money to help her finish. The band donated studio time. The result is a beautiful recording of 11 songs, all written by Farrell and sung with a voice that would make sparrows jealous. Her music has a jazz-folk feel. One listen and it's easy to tell Farrell is an incredibly gifted artist, one whose recordings are surpassed only by the live presentation. A full accompaniment of instruments adorn the record, from cello and flute to saxophone and clarinet. It is the ideal rainy day album, and while it doesn't rain all that much in southern California, Luminous will make you wish it did. "Fade Away" is the perfect introduction to her music. The album's first track is a piano-driven melody, painting the picture of a relationship yearning for togetherness. The entire album is an emotional journey, and this track starts that journey in full color: "I want to walk through a green field with you looking up at the sky so blue … and at the end of the day, how 'bout we fade away." The song has a bluesy-jazz feel that would make Norah Jones fans fall in love. On "I Believe," Farrell picks up a guitar just like she did in hundreds of Hollywood coffee shops. Add a harmonious cello and this song is a tale of hope. "I believe it's about to get better. I believe in you. I believe it's more than a feeling." The album takes listeners through the ups and downs of life and love, and they're feelings we can all relate to. Feelings that Farrell knows all too well. Her work has been on shows like One Tree Hill and Shark, so you know the indie singer-songwriter crowd already loves her. Odds are, you will too. In this new age of music, Luminous is only available on iTunes. You can find more information on the album's release at davematthewsband.com.